Childcare providers assume an awesome duty to care for other people’s children. It can be among the most spiritually rewarding enterprises, but it is also fraught with real danger. Each and every day, even a minor breach of duty – an erroneous head count or an unsupervised play area – can lead to a child’s serious injury or death, and any harm that befalls children can leave childcare providers vulnerable to criminal charges and financial ruin. Educators and administrators without legal training are often caught unaware by unclear laws, not realizing the extent of their own liability. While childcare workers should always strive for acting in accordance with the highest ethical and professional standards, when it comes to protecting one’s self or one’s institution from legal liability, all actions and decisions must in the final analysis be consistent with one’s legal duty. Compliance with childcare law is the only way to protect one’s self or one’s institution from legal liability when something goes wrong. At the same time, compliance minimizes the chances of something going wrong because childcare law is designed, above all to protect the welfare of children. 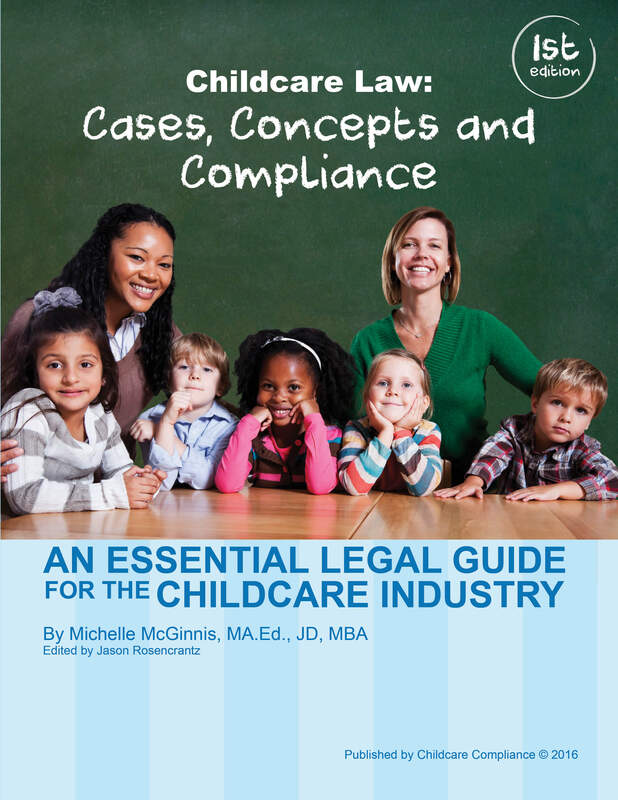 It is therefore imperative, both for the safety of children and for the viability of a childcare business, that childcare professionals understand and comply with the law as it relates to the childcare industry – not only negligence law, but contract law, family law and labor law as well. In the chapters that follow, we will consider scenarios in which childcare professionals, whether through ignorance or carelessness, leave themselves vulnerable to legal liability or unnecessary conflict. All scenarios are based on case law or current events. Unit One focuses on scenarios in which childcare providers fall short in their most fundamental duty to the safety of the children in their care, and therefore run afoul of negligence law. Here, we will recommend best practices for how to avoid such breaches of duty, as well as for how to prepare for court in case of litigation. Unit Two focuses on the relationship between childcare providers and parents – their relative rights and responsibilities. Here, we recommend contractual provisions and best practices designed to avoid liability and conflict. Unit Three focuses on the legal issues that arise between childcare providers and employees.